found throughout the Western tropical Pacific. Males grow up to 6 in., females not more than 4.7 in. 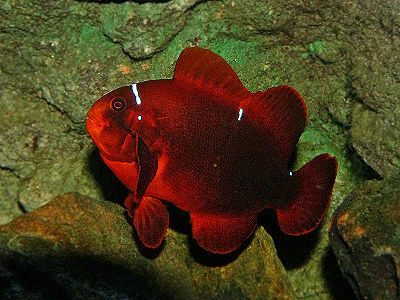 Introduce carefully if other species are boisterous as this fish can become very stressed, particularly by tangs or surgeonfish. Tank size is a minimum of 70 gal. for females, 106 gal. for males, 120 gal. for pairs. They are active swimmers and should be fed regularly. They will eat most frozen, flaked and pellet food and also enjoy dried algae.